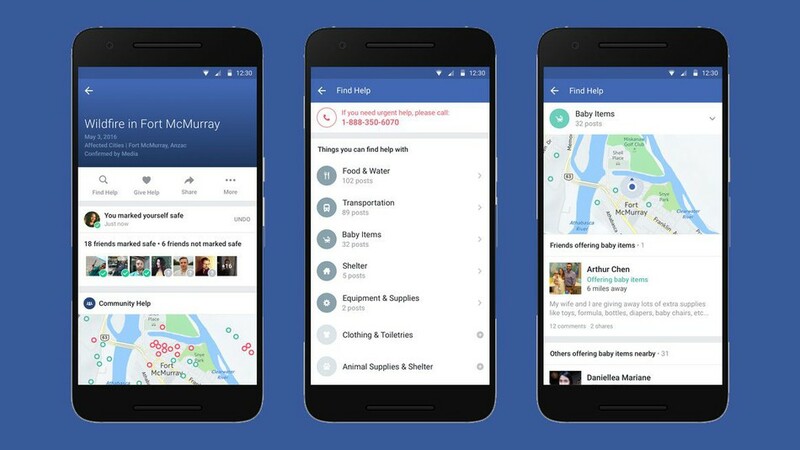 Facebook is working with three global relief organizations to provide disaster maps — close to real-time data about where people are, where they are moving, and whether they are in danger in the hours and days after a flood, fire or earthquake. “When there’s a flood, earthquake, fire or other natural disaster, response organisations need accurate information quickly about where people are in order to save lives,” founder and chief executive Mark Zuckerberg said on Facebook. According to a new blog post from Facebook, the social networking giant said it has agreed to provide maps to UNICEF, the International Federation of the Red Cross and Red Crescent Societies, and the World Food Program, the food-assistance branch of the United Nations. “One of the consistent pieces of feedback we were receiving is that while a tool like safety check is useful for individuals in a disaster, what organizations actually need is a bird’s eye view,” said Molly Jackman public policy research manager at Facebook. The data for these maps is gathered specifically through the Location Services tool enabled on the Facebook app. If you’re ever in an area where a natural disaster strikes, relief organizations will receive that information because your location is logged in the database. “We can help response organizations paint a more complete picture of where affected people are located to determine where resources like food, water and medical supplies are needed and where people are out of harm’s way,” Jackman explained. The disaster maps are divided into three sections to help with response efforts. First, the location density map shows where people are located before, during, and after a disaster. The movement map displays where people are relocating to over several hours. The third, and most familiar, is the Safety Check map that helps identify unharmed areas based on where people are checking in. Jackman said Facebook will iterate with its three initial partners over the next few months on this proof-of-concept work, then expand the disaster maps initiative to include other local and global NGOs. Check out Facebook’s video below.